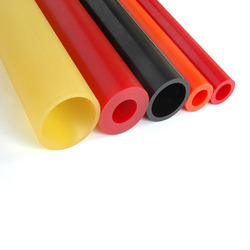 Amalgamating manpower and machinery, we have introduced a vast array of Polyurethane Rods. The components offered by us are developed using tough, crack resistant, and abrasion resistant polyurethane as these lasts longer than conventional rubbers and plastics. Furthermore, we provide these components to our customers in custom-made diameters, lengths, hardness, and colors as per the requirements. 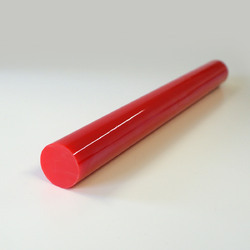 Amalgamating manpower and machinery, we have introduced a vast array of Polyurethane Tubes. The components offered by us are developed using tough, crack resistant, and abrasion resistant polyurethane as these lasts longer than conventional rubbers and plastics. Furthermore, we provide these components to our customers in custom-made diameters, lengths, hardness, and colors as per the requirements. Amalgamating manpower and machinery, we have introduced a vast array of Polyurethane Sheets. 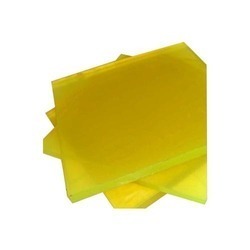 The components offered by us are developed using tough, crack resistant, and abrasion resistant polyurethane as these lasts longer than conventional rubbers and plastics. Furthermore, we provide these components to our customers in custom-made diameters, lengths, hardness, and colors as per the requirements.